How do you measure and maximize the performance of your workforce? Employee performance in IT, HR, and R&D isn’t as easily measured as in other departments, such as sales or production, in which quotas are used. Unless quality and progress of work criteria are clearly defined, measuring employee performance can become vulnerable to personal biases, false impressions, and subjective opinions. This white paper highlights why successful implementation of relevant employee performance metrics is crucial to a company’s success. 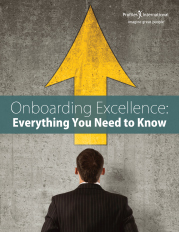 To make the best strategic decisions, company leaders need this vital information. If objective performance metrics aren’t established and communicated, organizations can fall into the trap of following the status quo concerning talent management. Readers of this white paper will learn the importance of implementing work performance measurements, continually evaluating and revising metrics as required, and collecting the most detailed, quantifiable data available. Companies with strong performance-measuring programs will benefit from a well-qualified workforce and a good return-on-investment for their human resource assessments. Why is this such a cause for concern? For a unique and informative perspective, download your copy today!